Director Chiji (center, in black) flanked by the youth agripreneurs and staff in Onne. 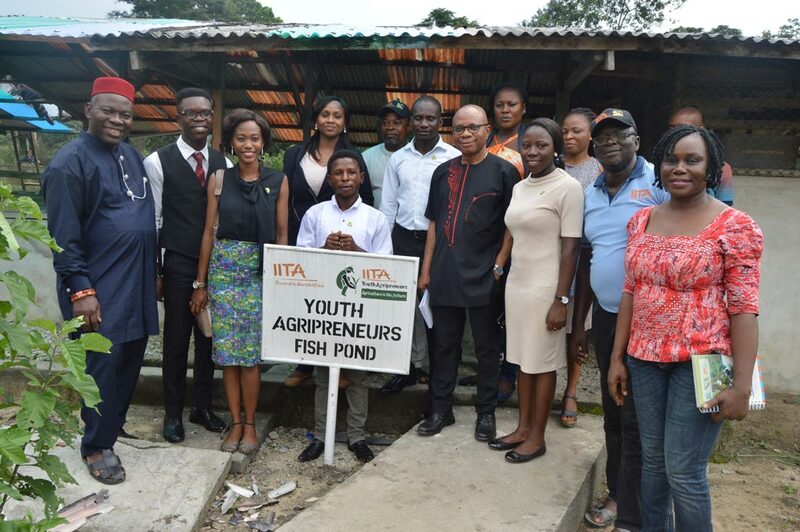 He made the appeal on 15 June when he visited with a team comprising Omoluabi-Davies Omotere, Senior Agribusiness Officer, AfDB, Evelyn Ohanwusi, Interim Head, Youth in Agribusiness Office, IITA, and Victoria Lawal, ENABLE Youth coordinator, Nigeria. “IITA Onne is an excellent site for research, agribusiness ventures and training. Scientists should take advantage and join in the expansion of the station,” the AfDB Director said. In welcoming the AfDB director, Okechukwu Richardson, Head, IITA station in Onne, reiterated that the station was reopened to serve Africa in the area of capacity building for small, medium and large-scale farmers; provide support to novel agribusiness enterprises; and collaborate with universities and agricultural research institutions. These, he noted, were areas that scientists could anchor their projects on. Another attraction of the station is an “established tissue culture laboratory which will assist in research and seed multiplication,” Okechukwu stated. He also expressed optimism that the station’s effort in seeking funds for sustainability through new program development, partnership, and sponsorship will be highly successful. The AfDB Director was treated to various presentations on the history, evolution and success of the station. Josephine Agogbua, Postdoctoral research fellow, in her presentation, recalled that plantain and banana were incorporated as IITA’s mandate crops in 1987. Consequently, a program was started in 1991 on breeding for resistance to black sigatoka disease. “This effort resulted in the development of high-yielding disease-resistant hybrids widely recognized as PITA. These have since been deployed to farmers in collaboration with NARS. The station has also swung into full breeding activities since its comeback,” she reported. 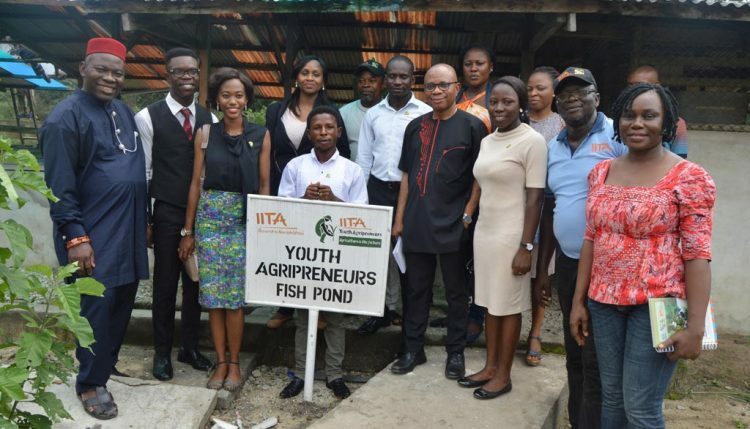 From the youth in agribusiness component, Dorcas Ogunwole, IYA Onne pioneer member, reported on the various viable agribusiness ventures which resulted from informed market analysis and surveys, and plans in place for expansion. She further noted that the station is an excellent incubation center for training young people in agribusiness in the South-East and South-South regions of Nigeria. Responding, Ojukwu applauded the young farmers for their resilience and self-motivation and for living true to the belief that vibrant young men and women can convert a seemingly hopeless situation to something enviable. He pledged the Bank’s unflinching support to IITA and said that two mega projects—the ENABLE (Empowering Nobel Agribusiness-Led Employment) Youth program and TAAT (Technologies for African Agricultural Transformation) will soon be rolled out. The visit ended with a tour of the station facilities.